Ben teaches his students from over 20 years of experience in Karate, the latest in supplementary training, advice on lifestyle health, diet and nutrition, and a personal creativity towards applied Karate practice. Going beyond the regular achievements gained through class practice, bespoke personal training will accelerate your skills, knowledge and expertise. Karate was traditionally taught this way for a good reason. Combining knowledge of Karate, complementary martial arts, modern and traditional conditioning techniques and personalised nutrition program I will ensure you get the most from your training. Weekly classes in Edinburgh focusing on Okinawan Shorin-Ryu, Shotokan Kata and Ryukyu Kobudo. 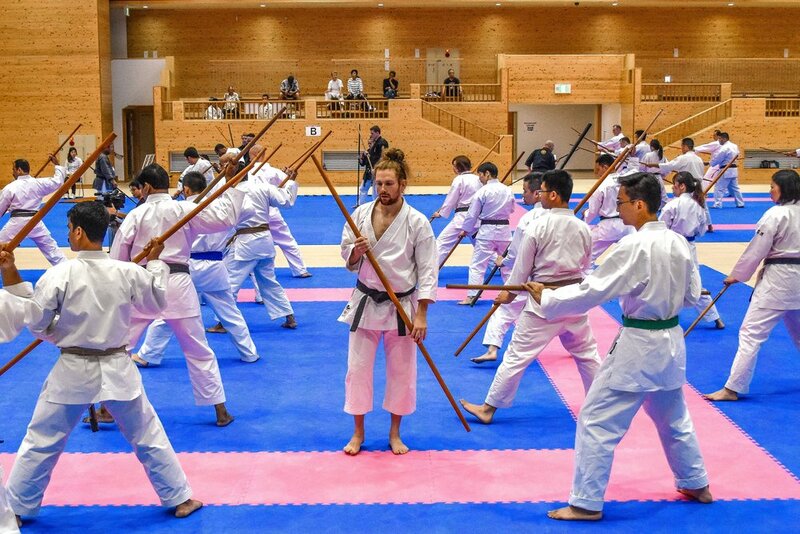 Offering Kata masterclasses, Bunkai and Application sessions, fundamental and advanced Karate methods, Okinawan training and Ryukyu Kobudo classes. Get in Contact to find out what I can do for you.